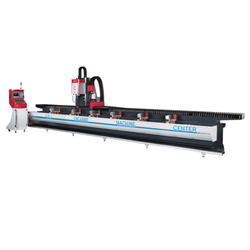 Prominent & Leading Manufacturer from New Delhi, we offer jih-cnc 48b 3- axes cnc router machine, jih-18 a type sawing machine, jih-cnc 300a cnc machining center machine, jih-cnc 4s 4th cnc sawing machine, jih-cnc 6500 m type safety guard machine and jih-cnc sd3 3 axes machining center. Spindle Speed MAX. 18,000 R.P.M. 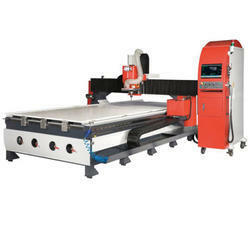 We are offering JIH-CNC 48B 3- Axes CNC Router Machine to our clients. 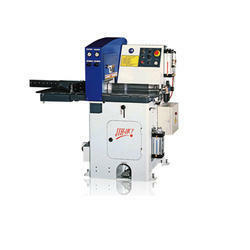 We are offering JIH-18 A Type Sawing Machine to our clients. Concealed saw blade performs upward cutting. 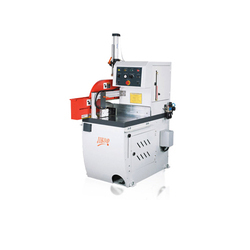 Single or multiple workpieces can be cut simultaneously. 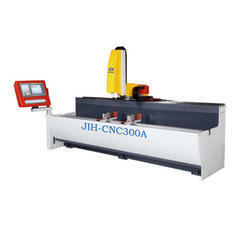 We are offering JIH-CNC 300A CNC Machining Center Machine to our clients. 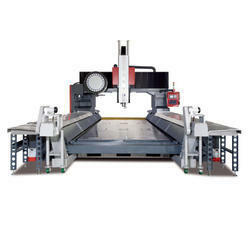 X-axis travel 6,500 mm. (standard), 3,500/4,500/5,500 mm.(optional). The oversized box-type column is manufactured from high quality cast iron. Three axes ball screws are directly coupled with servo motors,featuring no backlash, high transmission efficiency and high accuracy. 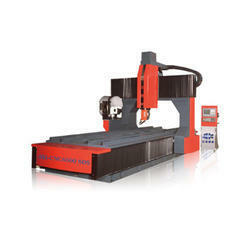 We are offering JIH-CNC SD3 3 Axes Machining Center to our clients. Fixed table in combination with travelling column and beam that makes the machine suitable for machining extra largeworkpieces. X-axis travel is transmitted through pinion/rack and driven by a European-imported gearbox, featuring high torque output, no backlash and high positioning accuracy (optional). X-axis rapid traverse rate is 36 M/min. Upon request, high rapid traverse rate up to 50 M/min is available (optional). 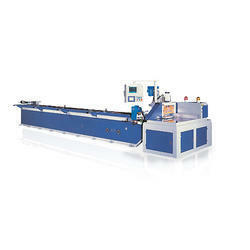 Three axes are equipped with P class high precision linear guide ways. X,Y,Z-axis ball screws are directly coupled with servo motors. Choice of various controllers - Mitsubishi, Fanuc and Siemens. Fixed table in combination with travelling column and beam that makes the machine suitable for macining extra large workpieces. Advanced 5-axes head is designed for any angular position. X-axis travel is transmitted through pinion/rack and driven by European-imported gearbox, featuring high torque output, no backlash and high positioning accuracy (optional). A-axis rapid traverse rate is available for 36 M/min Upoe request, high rqpid traverse rate up to 50 M/min is available (optional). 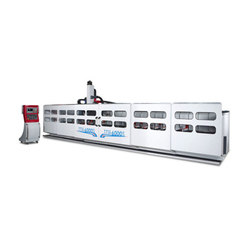 Three axes are equipped with P class high precision linear guide ways. X, Y, Z-axis ball screws are directly coupled with servo motors. 12-tools magazine. Control mode of angle Using LCD display. Manual positioning Servomotor driver .Auto setting. Automatic Feed, Positioning. Oil Spraying And Sawing. 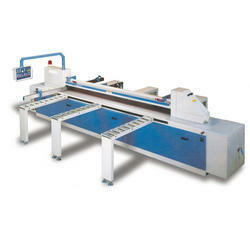 Horizontal Cutting And Saw Move On Linear Guide Way That Assure Accurance And Large Cutting. Employ Touch Sensing Screen For Maximum Operation Convenience.The Controller. Features Self-Diagnostic Function Which Is Displayed On The Screen For Convenient Troubleshooting. Two Sets Each Of Hold-Down Clamps And Horizontal Clamps Provided On The Feeding System Permits Cutting Of Irregular Work Piece. 100 Sets Of Size Memory Capacity. Each Set Allows For Setting 12 Sizes. 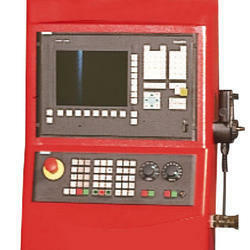 Machining, Providing Convenient Calculation Of Machining Cost. During Operation, The Machine Provides Detection For Lack Of Material. \ Available To Set Remain Material. Two sets each of vertical clamps and horizontal clamps provided on the feeding system permits cutting of irregular work piece. During operation, the machine provides detection for lack of material. Available to set remain material. 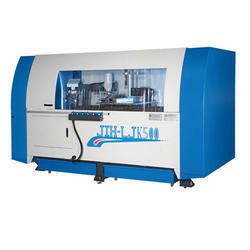 We are offering JIH-CNC S Type CNC Machining Center to our clients. 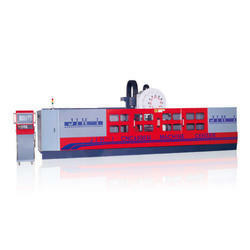 ISO 30 spindle Spindle speed: 18,000 RPM. 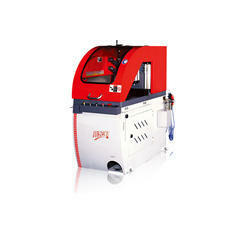 Spindle Speed (RPM) 1,800 R.P.M. 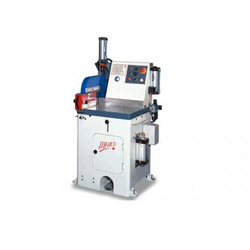 We are offering JIH-CNC 6500 M Type Safety Guard Machine to our clients. 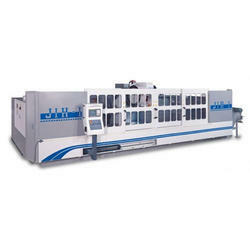 We are offering JIH-CNC H Type CNC Machining Center to our clients. The base is fabricated from heavy gauge steel plates and scientifically reinforced, allowing for solid support for the column and workpieces. 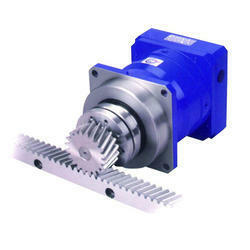 Large diameter ball screw on x-axis is firmly supported to eliminate self-deflection problems. 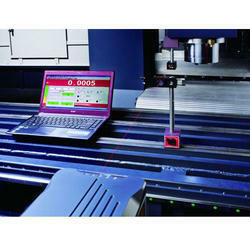 3 axes adopt 45 mm P class high precision linear guide ways; X axis features 8 blocks, Y and Z axis are 6 blocks. 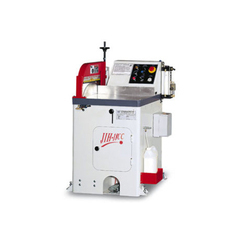 Automatic lubricator delivers lubrication oil to all linear ways and ball screws. 3 axes ball screws are direct coupled with drive motors, featuring no backlash, high transmission efficiency and high accuracy. 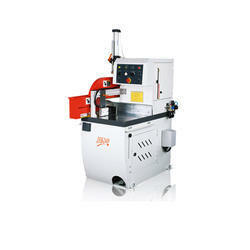 The machine is designed with a travelling column and a fixed table. 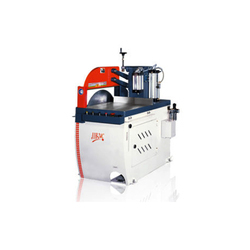 With the travelling column configuration,workpiece weight will not affect the transmission system. As a result,consistent machining accuracy can be achieved. 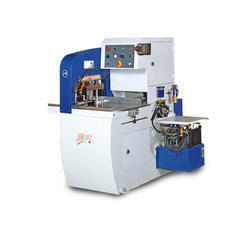 Each linear way on the Y-axis is fitted with 3 sliding blocks to assure ultra-high stability when the Y-axis is moving. 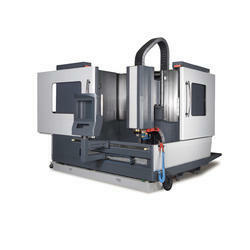 We are offering JIH-CNC M Type CNC Machining Center to our clients. 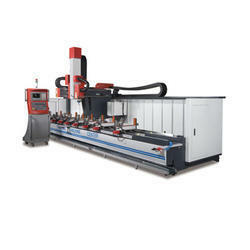 We are offering JIH-CNC800 SD 5 Type 5-Axes CNC Machining Center to our clients. 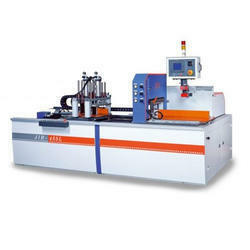 We are offering JIH-E Type 3 Axes CNC Machining Center to our clients. X-axis ball screw is directly coupled with servo motor. Armless type automatic tool change. Tool selection metho is bi-directional and random providing fast tool change and smooth motions. We are offering Planetary Gear Reducer to our clients. 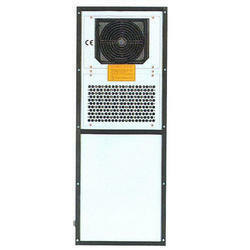 We are offering Heat Exhanger for Electrical Cabinet to our clients. 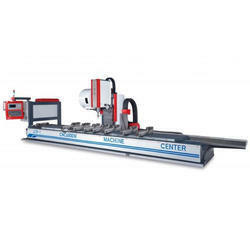 The angular head can be swiveled to 95° rightward and leftward,making it suitable for angular drilling and tapping operations.Also,suitable for face milling and ulti-surface machining in one setup. Swiveling degree is adjusted through computer control.Minimum indexing angle is:5°. 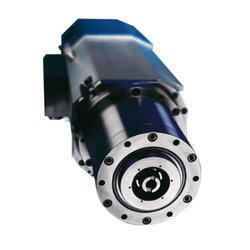 Built-in type spindle features high accuracy,low vibration,low noise and no backlash. With tool life monitoring and graphic display. Also, including tools management for various types of tools. Equipped with SINUMERIK technical cycle and G code,and program GUIDE for program setting including dynamic element and quick browsing of graphics. 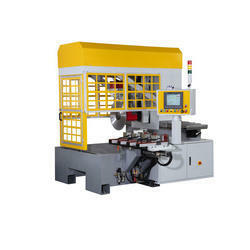 Employs top view and other view and other views of drawings for simulating machining rocesses. SINGLE BLOCK SEARCH:for moving program to any section with or without calculation and execute program from this position to continue machining. 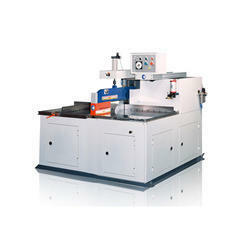 A standard turning and milling package include any workpiece contour and geometrical calculator(optional). 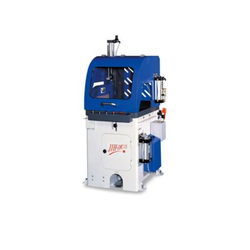 After each machine has been assembled, our experienced personnel applies a sophisticated laser intrument to inspect and calibrate ball screw pitch error and backlash, positioning accuracy, as well as repeatability on the X, Y and Z-axes. Through the laser inspection process, we can guarantee high feed accuracy on three axes as well as overall machining accuracy. 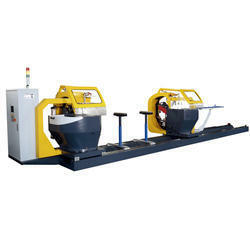 We are offering H.S.D Spindle to our clients. 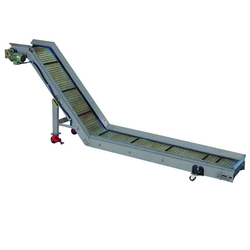 We are offering Chain Type Chip Conveyor to our clients. 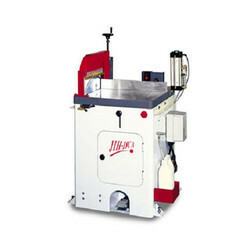 Looking for JIH-I Machinery ?